There is a process to add a streaming video to your Playlist on YouTube or to create a new playlist stretch from your dashboard. YouTube Playlist is a fantastic tool from YouTube, all video creators and video viewers can make advantage with this. YouTube playlist is a collection of YouTube videos which are collected by a passionate YouTube user. 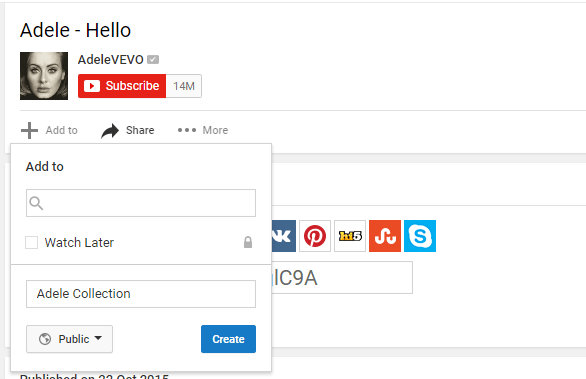 First “Sign In “to your Google Accounts and Open YouTube from Google accounts. 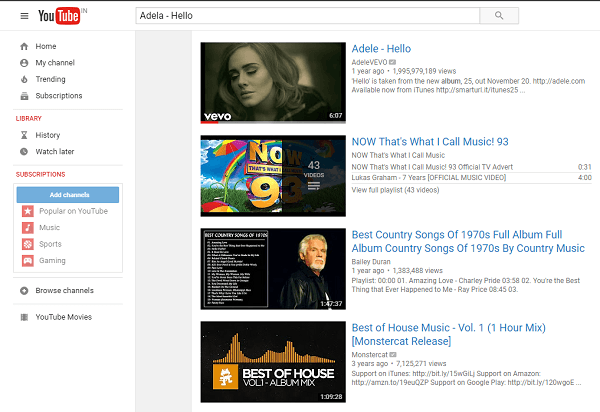 After opening the YouTube channel just locate the video or music which you want to the playlist. Select and “Play” the song, find the “Add to “ option just below the video playing. 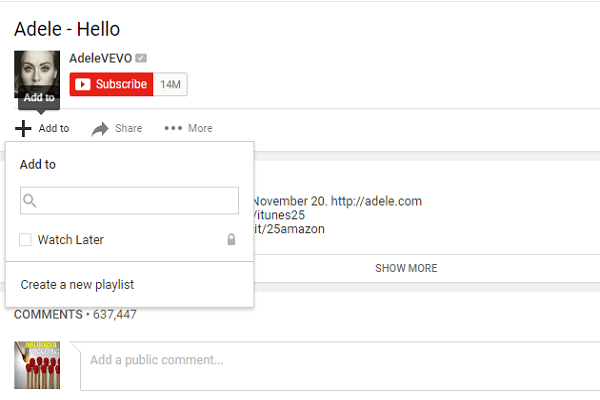 Create a YouTube channel, if you already have a YouTube channel name the channel to add songs to a playlist. If you have done a YouTube channel skip this step and continue with add to option. Open the “Playlist” in your YouTube channel and click on “New Playlist” in the same channel. While creating a new playlist, enter the name of the “New Playlist” name on “Playlist Title” box and click on “Create” button. Here you will find two options like you should manage the playlist details like it should be private or public or Unlisted. After that, you will find a Window like “Add Video To Playlist”, search for other videos which you like to add to playlist. The search list shoe many videos and select the favorite videos and click on “Add Videos” option. The selected videos Automatically added to the Playlist. If you want to create more Playlist and more videos repeat the same procedure to make a playlist and add videos. Your YouTube playlist and YouTube video watch time will improve the ranking of your channel according to watch time algorithm. YouTube video watch time will increase the rank of that video and get number views and impressions. YouTube playlists activate the older content from YouTube. If you have a vast collection of videos on your YouTube channel, grab the new videos and mix both old and new videos in one playlist. That will bring new likes and visits to older content. 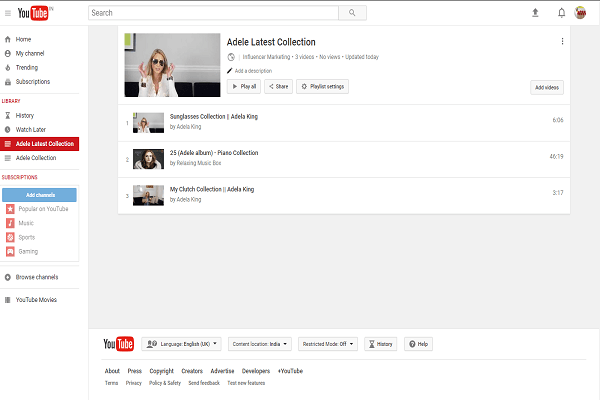 Playlist in YouTube channel gives New Keyword opportunities, that means if you create a playlist related to the video keyword you can place all your older videos in the new keyword playlist. Playlist brings a greater watch time to videos. The people will search for a collection of a single topic in one collection so, that will show your playlist in a keyword search. You can add your own related video in a logical format create your own way of videos organized in your YouTube channel playlists. YouTube playlist mainly advantageous to two people they are Viewers of Playlist and creators of Playlists. Creator gets benefited through YouTube optimization and Viewers can easily access and find the same topic related videos in a single playlist. 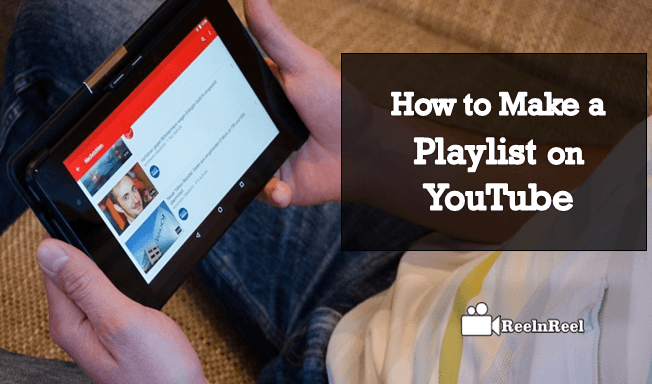 YouTube playlist in your channel provides the great way to collaborate with viewers, easily distinguish your own video categories and easily share your favorite videos with your friends through playlists YouTube. YouTube has become the second largest search engine in after Google, so nearly 4 billion people are watching YouTube videos that will lead to YouTube Content optimization. 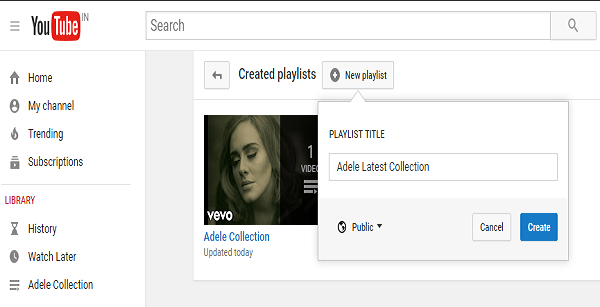 You can add Playlist Notes to YouTube channel playlist that gives a personalized look to your YouTube channel. Start editing end time of your videos within the Playlist. That gives viewers more refined experience to watch different videos in the same playlist. You can create Interstitial videos in the playlist, at the end or in between ads it will lead to next related videos to watch increase viewers and watch time. Brands can get advantageous through YouTube playlist. You can add ads after the one video or next video starts after completing the ad, then people get to know the brands. YouTube playlists can Drive the watch time of YouTube channel if watch time increases obviously YouTube channel ranking raises. Optimizing the metadata of your video gets the clear idea to the viewers so, people get to know the complete description of the video. 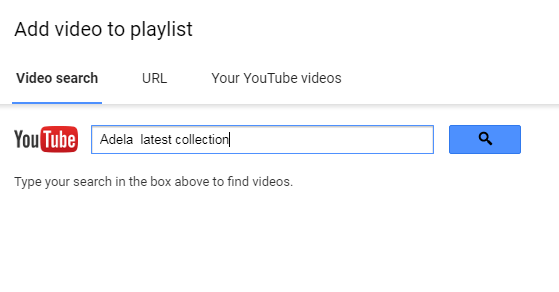 Add the correct title to the Video, so Google search can give accurate result when a user types the keyword, correct description. Many people watch YouTube video in a playlist where a group of videos appears but, some of them don’t any how to create the playlist on YouTube. 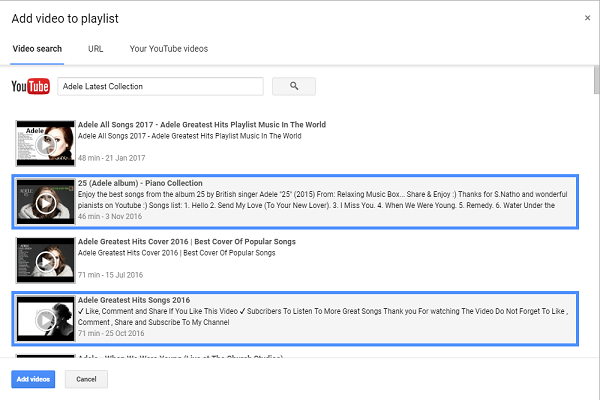 This is an Ultimate guide for how to make a playlist on YouTube, advantages of using YouTube playlist and YouTube Optimization using Playlist.